Shadow show Verba on Česko Sloven­sko má talent – the decision to participate was spontaneous. The Verba team was invited rather as entertainment than as competitors. Even at the casting,the actors were allocated in separate dressing room. Since the shadow theatre was founded in 2010, this is already the 8th show format Britain’s got talent. Not a bad tradition – once a year become the finalists Got talent. Need to mention, that the team had another name – “shadow theater Fireflies”. But since 2015 new ethno-project Verba was born. Above all, the achievement was the final of the TV-show Românii au talent (Romain got talent) . There Verba took fourth place according to the audience voices. That was most noteworthy result, considering shadow show Verba is Ukrainians. Česko Sloven­sko má talent – this is one talent show for two countries – the Czech Republic and Slovakia. But also, foreigners are allowed to participate there. What happens is not so often. The shooting of shadow theatre in Slovakia was launched in August 2010. Shadow show Verba performed at the casting in June 2018 . Their performance was based on a favorite for many cartoon – “Frozen” . The broadcast itself was released on November 3, 2018. 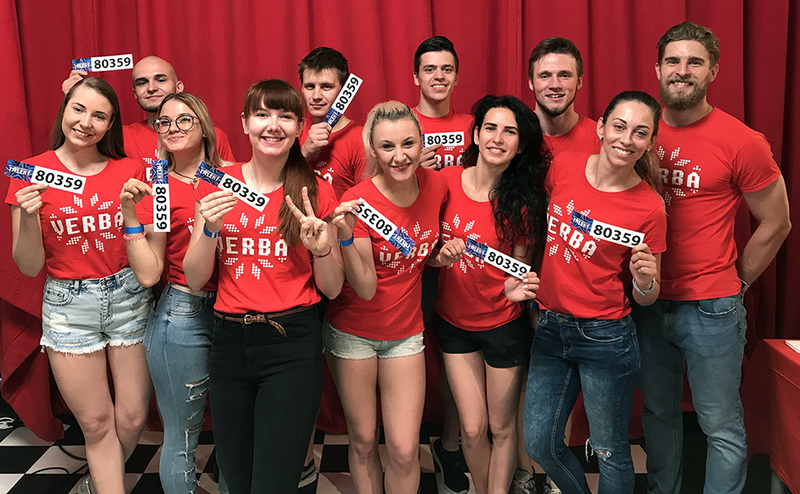 And after 2 days it became known that the “tienove divadlo” Verba (how they called team) – the semi-finalists of “Česko Sloven­sko má talent”. Of course, that was great knews. Now there is intensive training for live broadcast and communication with judges and the jury. Interestingly, the decision of who goes to the semifinals was made by the producers and the jury. But the ticket to the final will be given by the audience, by voting. And Verba hope to get into the final of Česko Sloven­sko má talent. Certainly, always pleasant when someone appreciate your talent. Especially in Europe, where the audience is different mentally.